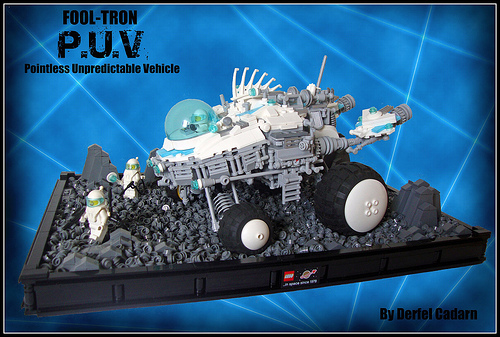 This rover by Luke Hutchinson (Derfal Cadarn) was deliberately designed to be purposeless. The description mentions that it doesn’t have steering, and was built by Fool-Trons. It does however, feature tons of interesting greebles, and a very impressive diorama display.